When it was announced that Kate Middleton would be doing her own makeup for her wedding, the response was divided between, wow, like your wedding day is not stressful enough, and, good on you for taking a low-key approach. What everyone agreed on, however, was how radiant the Duchess looked, and that was thanks to Arabella Preston. The former British beauty editor turned makeup artist reportedly gave Duchess Kate lessons and, well, the results spoke for themselves. Which is a good thing because Preston herself has never said a word about any of it. But what she will talk about is Votary, her super-luxe, all-natural skincare collection now stocked at Sephora. Preston is a big believer in feeding skin like you would your body. “I was creating products at my kitchen table for myself and my clients, and I couldn’t find the perfect natural plant oil cleanser that I wanted to use in my own routine, so I made my own,” she explains. There are three cleansers in the range: the original Super Seed Cleansing Oil, a blend of 21 plant oils, Rose Geranium and Apricot, Preston’s personal favourite, and the new Clarifying Cleansing Oil, which is ideal for blemish-prone skin (it’s a tightly-edited collection, but there are also a couple of exquisite face serums and oils, a moisturiser, plus body oils). 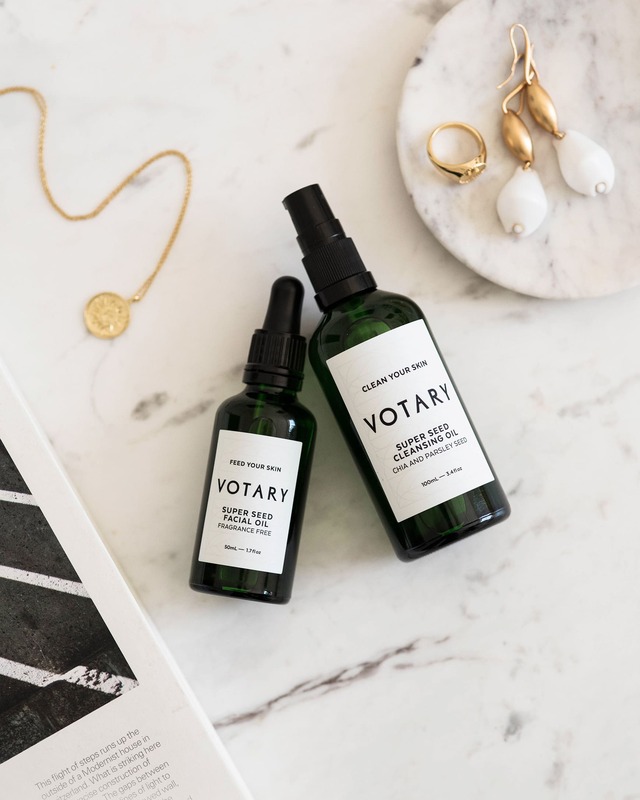 It’s not a coincidence that Votary was founded on cleansers, as Preston has strong views on this often-hurried, sometimes-missed, first skincare step. That dry, tight, post-cleansing feeling? It shouldn’t happen. Preston says cleansing oil helps keep skin smooth and hydrated, and using a hot, damp washcloth to remove the oil gets skin really clean and gives the complexion a mini-exfoliation at the same time. The humble washcloth could be your ticket to a royal glow.